TV Africa presenters try something different again.TV Africa’s Breakfast Show presenters cause waves on social media anytime they do something different. Furthermore, a few weeks ago, the morning show hosts celebrated African Union Day with beautiful African prints. Moreover, last week, they wore Black Stars jerseys with the number 12. This was in relation to Anas’ latest documentary on corruption. Therefore, the trio, Nikki Samonas, Obuobia and Khadijat do something again. The three ladies went on live TV with no makeup. However, it wasn’t just the lack of makeup but the outfits they wore to present the 6 to 9-morning show. 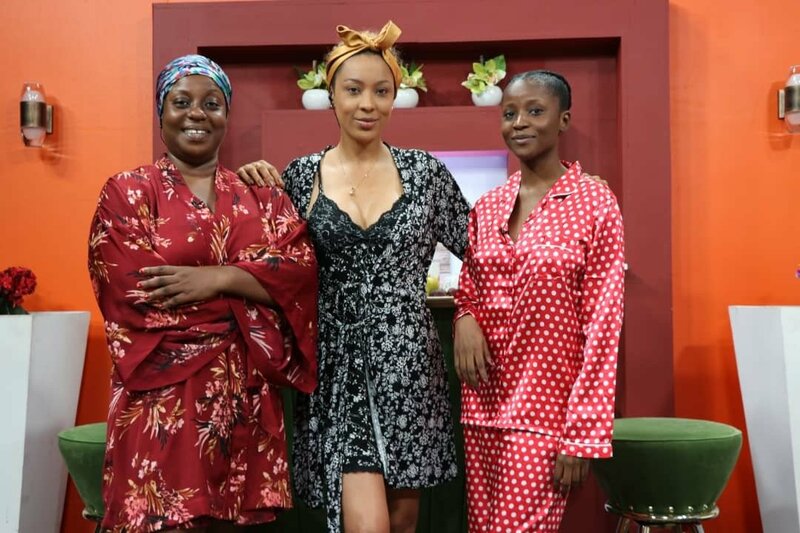 Nikki Samonas and Obuobia wore nighties whilst Khadijat was in pajamas. 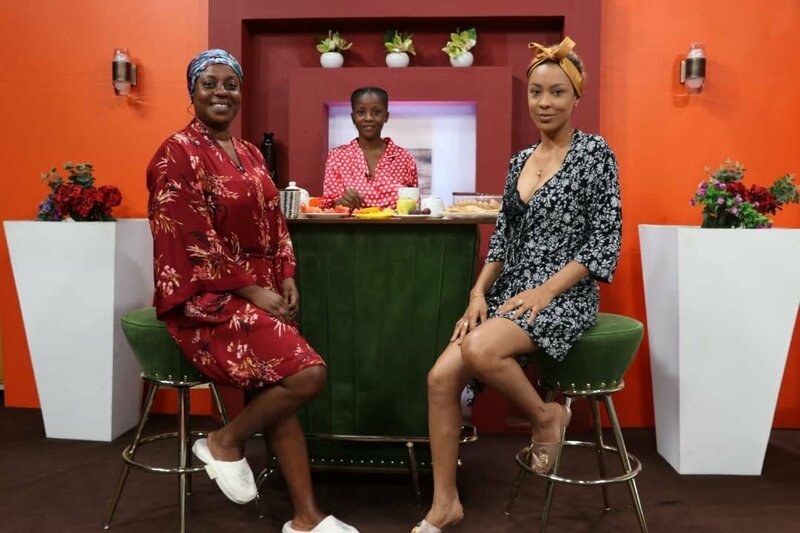 These outfits the three wore to host the Monday edition of the morning show received applause from social media commentators who chanced on their pictures. They believe TV Africa is doing something different from the others.